Welcome to the Scottish Austin Seven Club Website. 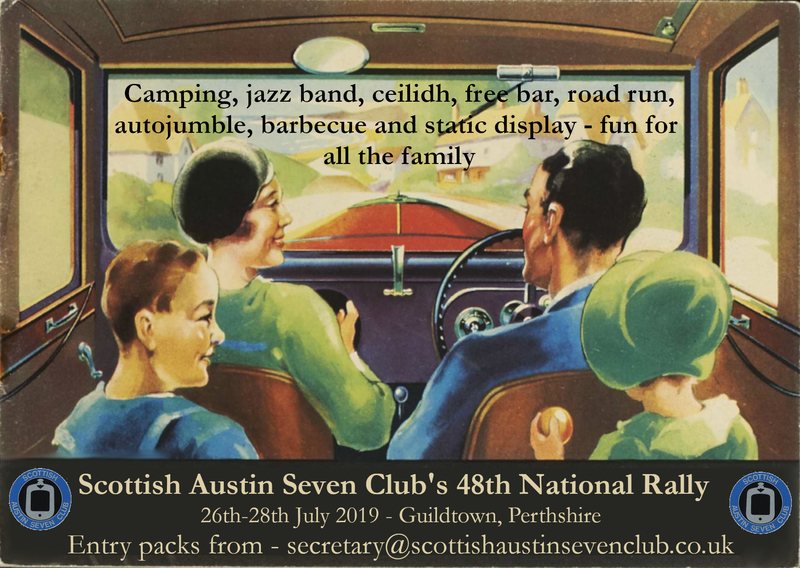 This site will tell you why the Scottish Austin Seven Club was established and about the events club members organise and attend. If you are interested in becoming a member please take a look at the membership section. A membership application form and renewal form is available for download.